Murat Terzioğlu has started painting with his interest in art since childhood, and has won many awards by participating in painting competitions with the encouragement of his teachers. He decided to study in the field of fine arts. For this purpose, he took private lessons from professor Bahattin Odabaşı and entitled to have education in Marmara University Painting Department. He has also took sculpture and ceramics lessons as well as painting education. In his early period, he was particularly impressed by the “Group d” and Flaman artists and adopted an expressive style. However, it can be seen more minimal lines and geometric forms in his later works. Murat Terzioğlu, who has been involved with art for more than 20 years, has also drawn attention to the installations and assemblies he has created by synthesizing contemporary art forms and materials in his recent works. The artist has been involved in many solo and group exhibitions. He lives in Istanbul and Budva and continues to produce works in his own studio. 2015 September 4 – 17 "Olay İnceleme Yeri" Installation Exhibition, Envai Art Coffee, Istanbul, Turkey. 2015 January 17 – 31 "Ölümün Nefesinde" Painting and Sculpture Exhibition, MKM Besiktas Contemporary Art Gallery, Istanbul, Turkey. 2014 February 1- 12 “Fırçamın Getirdikleri” Painting Exhibition, The Society of Painters Exhibition Hall, Istanbul, Turkey. 2013 June 2 – 12 “Sadece Sanata” Painting Exhibition, Şirketi Hayriye Exhibition Hall, Istanbul, Turkey. 2013 January 5 – 12 “Barışa Tarafız” Painting Exhibition, Şehremaneti Exhibition Hall, Istanbul, Turkey. 2012 May 15 – June 10 “Yansımalar” Solo Exhibition, Basement Lounge, Istanbul, Turkey. 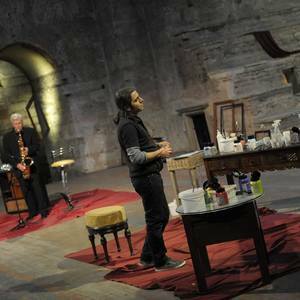 2012 February 13&13 “13 Painters and 13 Musicians in Aya Irini” Documentary Project, TRT, Istanbul, Turkey. 2012 January 6 – 13 “Tadilat” Painting Exhibition, Çorum State Fine Arts Gallery, Çorum, Turkey. 2011 May 27 – June 11 “Me-Zun” Painting Exhibition, CKM Cadde Bostan Cultural Center, Istanbul, Turkey. 2010 April 14 – 27 “Group Photography Exhibition”, Marmara University A.E.F. Exhibition Hall, Istanbul, Turkey. 2009 March 9 – 20 “Art and Design Exhibition”, Marmara University A.E.F. Exhibition Hall, Istanbul, Turkey.